This foot path is probably the least used trail in our system. Which is a shame because it may be the prettiest of them all! It is a jem of a little trail. 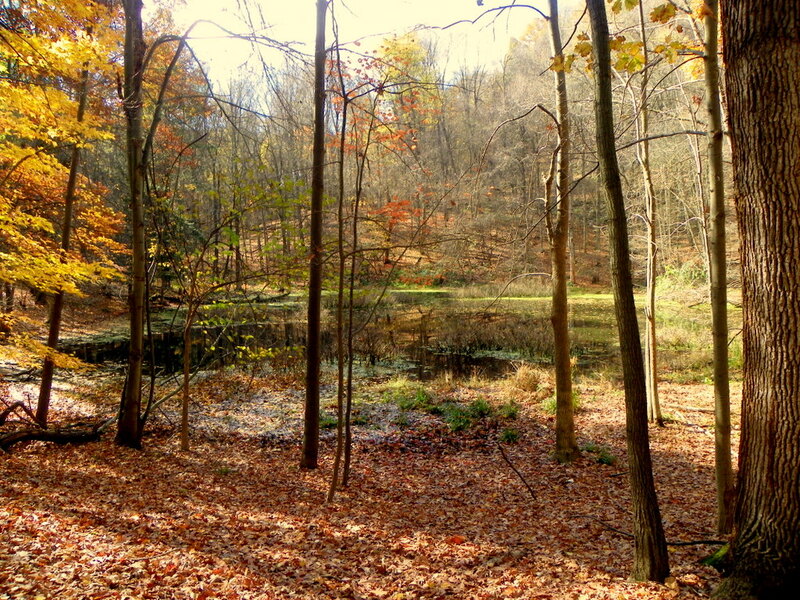 Pond at the end of Royal View Trail. This trail is relatively short, almost exclusively in the woods. 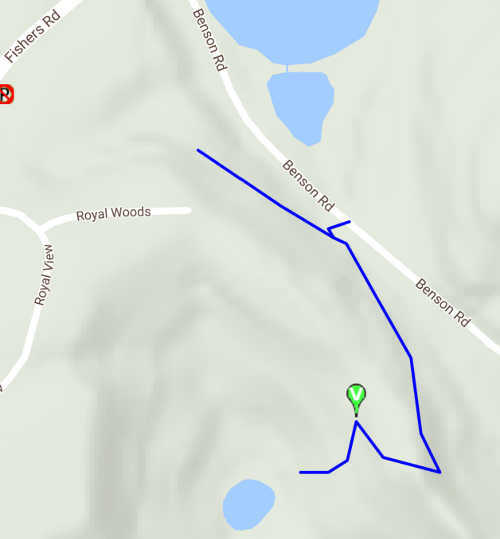 There is considerable up and down and switchbacks -- watch the blue blazes -- before it ends at a small "kettle pond" in the woods. The name Royal View is from the nearby subdivision and street, and is very fitting. 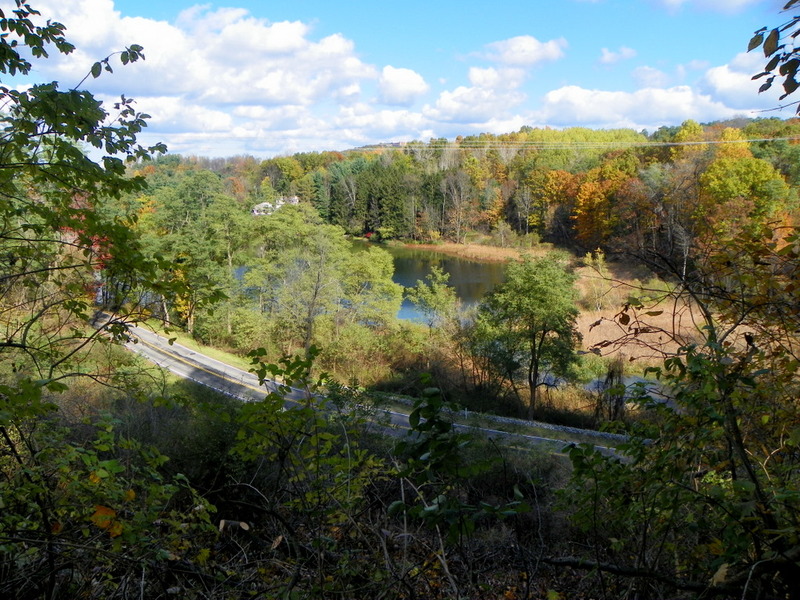 Crossman's Pond from Royal View Trail.